Sugary sweet without the weight gain. At least that's what I would like to think. Revlon shipped these lovely lollies to Aussie land last week and they are selling like hotcakes. I perused the local shops in order to add to my collection - as luck would have it, they were buy one get one free over at Priceline and Myer for that matter. $21.95 per pop can add up pretty quickly. Yes, they too, are pretty pricey down under. Creme Brûlée, Sugar Frosting and Gumdrop are super-sheer colours and work well for those low-maintenance makeup mornings. They each contain the subtlest hint of shimmer and shine, which sticks around for about an hour or two. 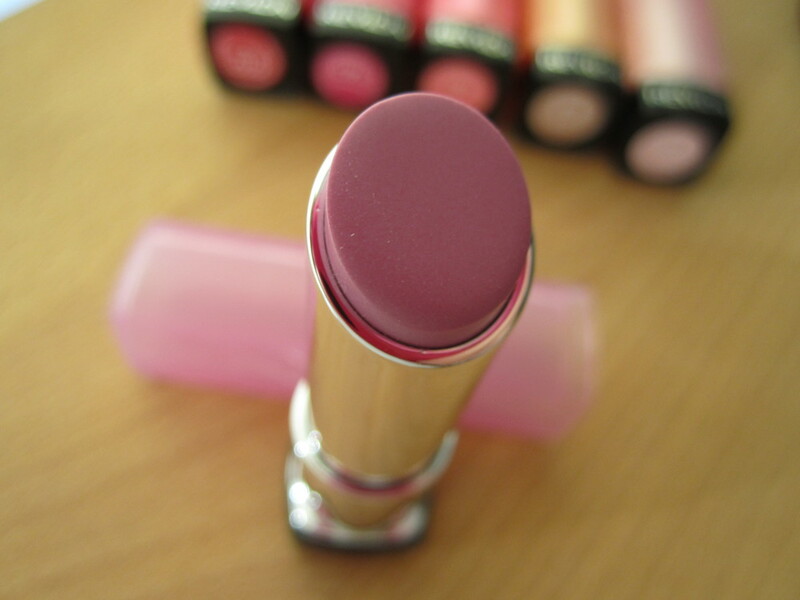 If you're looking to maintain glossiness, it's best if you carry your chosen shade in your purse for future applications. The thing I'm most looking forward to is layering these over my existing lipstick collection in order to enhance what I already own. Raspberry Pie, Lollipop and Sweet Tart are far more pigmented and come with a bit of shimmer as well; thankfully the shimmer doesn't cast that 80's frost we all know and loathe. 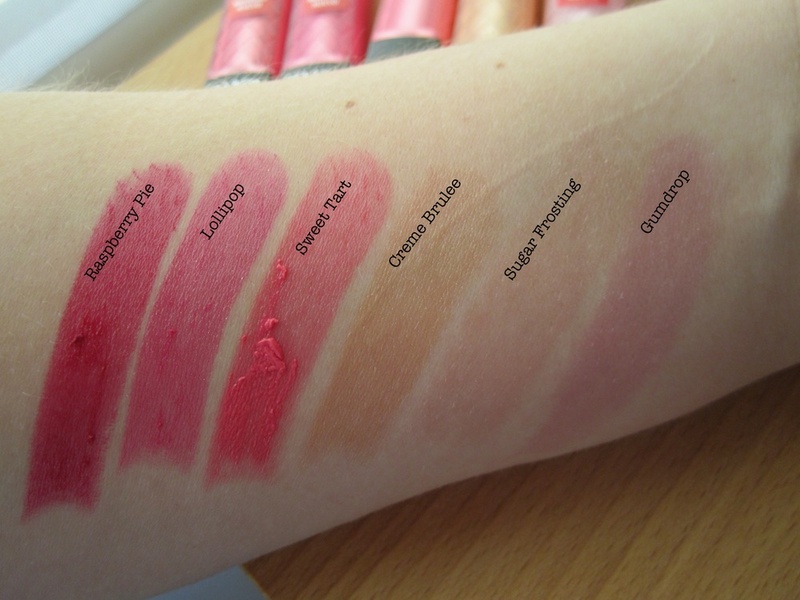 As I swatched these, I was amazed by how well each colour initially appeared; however, I was put off by Sweet Tart and its ability to crumble and melt upon contact. Definitely another reason why you should carry these in your purse rather than your pocket. Raspberry Pie dwindled down to a berry stain, which stuck around for four hours. Whereas Lollipop required several applications between dinner and drinks last night. The ColorBurst line smells of vanilla, but the scent isn't as striking as MAC's lip range. They claim to be moisturising, although, I haven't worn them alone because my lips tend to be dry no matter what time of the year it is. -"Hydrating mango, shea and coconut butter formula boosts lip moisture by 156% - Pampering gel formula provides super charged hydration and glides on lips buttery smooth - Sheer to medium colour with buttery shine - Available in 20 luscious shades." Side note: I didn't notice improved lip moisture. The surface area of applicator is on the large side. With the darker shades I lined my lips with the edge of the lipstick and then lightly patted my lips in order to build up the colour. Cheaper than a tube of Dior Addict. They go for $49 AUS. Buy them on sale (preferably), now. $21.95 AUS - I paid approximately $13.00 per tube thanks to several sales. 8 out of 10 bags - I wouldn't mind paying less for these, but it's definitely good value for money in this part of the world. I'm looking to add cotton candy, strawberry shortcake, berry smoothie and cherry tart to my artillery. Any takers? Dine with Bagful and husband..